Launched in beta on Windows 8.1 back in December, Microsoft has just launched today a beta version of Project Spark for Xbox One console too. This latest improvement expands the capability by allowing developers and gamers to create a game within a game running across PCs, tablets and Xbox consoles. Expected to be launched in final version later this year, Microsoft requires gamers to sign up to get hold of the Project Spark Xbox One. However, if you have already been using the Windows 8.1 version, then you will automatically gain access. According to Microsoft, 250,000 people signed up for Team Dakota’s ambitious Project Spark for Windows 8.1. You can create your own games and movies using Project Spark Xbox One or try other community-trade creations. Project Spark features cross-platform capabilities, thus allowing you to build games on Windows 8.1 and then continue playing them on Xbox One or vice versa. Using Project Spark Xbox One, players can build custom characters, animations and custom worlds from the Xbox console and edit or play them on PCs and tablets running Windows 8.1. Microsoft is also pushing SmartGlass integration to allow players to interact with games from a tablet while building and playing on Xbox One. Create custom missions and characters just like the Windows 8.1 version. The Project Spark Xbox One version adds the capability for gamers to capture animations, audio, and custom moves using Kinect! These Project Spark games can be shared with others sharing the editing capabilities among various gamers. Project Spark offers a very flexible platform converting mouse and keyboard controls to Xbox One controller automatically. It also allows the games to create third-person shooters, 2D platforms, tower-defense games, actions games like Zelda and much more! Every single element in the games is fully customizable. Project Spark includes a brain interface controlling all the movement of actions of the objects. If you want to sign up for the Project Spark Xbox One beta, here is the game’s website to do so. As mentioned before, you will receive access if you are already on the Windows 8.1 Beta Project Spark. 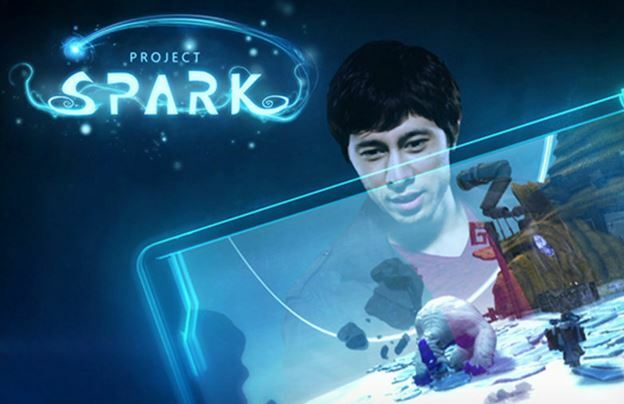 It is yet not known if Project Spark will be offered for Xbox 360 or not.